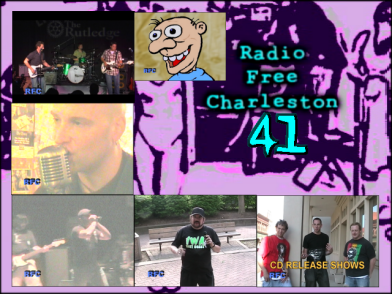 Click the image above to watch “IWA East Coast Shirt,” the latest episode of Radio Free Charleston. This music-packed show features A Place Of Solace, Holden Caulfield, and from Nashville, special guests The Coal Men. 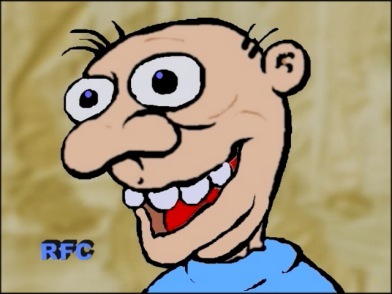 We also have an announcement from The Concept, and a short burst of animation from my brother Frank. I host from Davis Park, using a real microphone this time, so that the giant Air Conditioner on Capitol Street doesn’t drown me out like it did back in episode four. A Place of Solace impressed the hell out of me the first time I saw them, almost two years ago. I’ve been trying to make our schedules work to get them on the show since then. I even wore their shirt on episode 16 of RFC. I was finally able to make the stars align a couple of weeks ago and caught them at The Empty Glass during a soundcheck. Tommy Tim and Misty have a sound that is hard to describe. That’s one of the reasons I enjoy them so much. They’re too musical to be heavy metal, too loud to be regular rock, and their lyrics are too clever to be headbanger material. I guess you could call them “Art Metal,” or “Heavy Progressive.” Whatever label you apply, the music holds up. 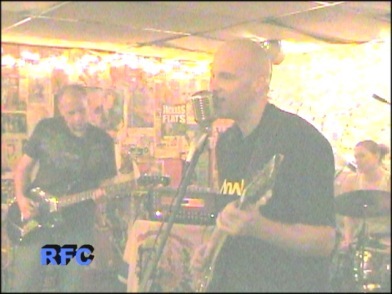 They do the song “30 Seconds” on the show, and we will definitely have them back on RFC soon. The Coal Men are the first “national” act we’ve had on RFC. The local connection is that they’re playing at The Empty Glass Saturday night at 10PM, and I wanted to whip up a little more support for this fantastic band. I reviewed their CD back in January, and caught them at a criminally-underattended Thursday night show at the Glass. They were amazing. It would be a shame if Charleston didn’t pack the place Saturday, because this band that brandishes a mix of Americana and classic pop-rock is on the brink of major stardom. 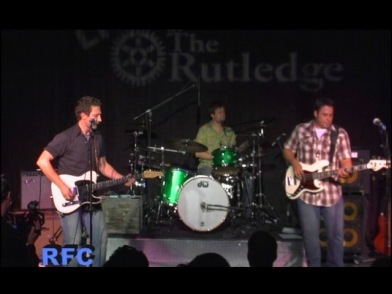 You can check out their song “Louisiana” over at the Soundcheck blog, and tune in to hear “Outside Looking In” on this episode of RFC. You can also buy “The Coal Men Live” DVD, from which we snarfed this tune, at the show Saturday or through their website. If you dig the music, you should come out and hear the band and snap up some merchandise. They’ll have CDs and DVDs and maybe even shirts. You can catch Holden Caulfield earlier in the day at the very same Davis Park from whence I host the show. They’re part of the “Rock In Love” tour, sponsored by The Bridge Ministry. Along with Holden Caulfield, you can see RFC guests Doctor Senator, and several other great bands like Fairweather Fan, Through She Wrote, The Apprentice, Liecus, and In A Different Life. The show is free, but you are encouraged to bring donations of socks, underwear, blankets, pillows, and canned food for the homeless. I’ll be writing more about this event later Thursday, with more details. We recorded Holden Caulfield performing “Behold! The End” at the La Belle Theater last summer, and sat on the tune until just the right time. In addition to the music, we have a special message from The Concept, and animation from Frank Panucci. Frank’s cartoon is notable because it features a two-syllable vocal cameo by Jim Wolfe, one of my cohorts in The Charleston Playhouse Quartet, who sing the Radio Free Charleston theme song. Jim doesn’t know that he’s in the show saying “weeny” yet. That’s the background info on RFC 41. Number 42 will be here before you know it. Keep checking PopCult for all the dirt on upcoming shows, and don’t forget to check out the surrounding posts for info on lots of cool stuff you can do this busy weekend. Nice to see an episode that’s chock full ‘o mucho good music. It’s also great to see both this show and so many local musicians support worthy causes. Is “weeny” the Secret Word of the Day? 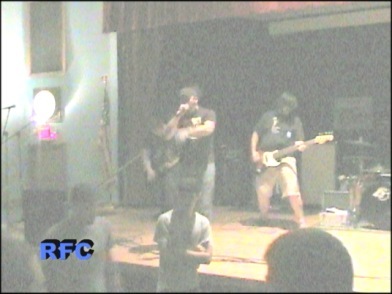 God…the music for this show set a new high-water mark for RFC. A Place Of Solace impressed the hell out of me. The Coal Men are as good or better than any band they’ve had on Mountain Stage for the last ten years or so. Holden Caulfield seems loaded with energy. I keep hearing about how dead the music scene is in this state, and then I watch your show and realize how wrong the people who say that are.